Golf's most charming couple, Webb and Dowd Keith Simpson, began their partnership at Wake Forest, cheered on by friends and family. Anyone watching the final, suspenseful moments of the 2012 U.S. Open Championship saw that unmistakable bond. Television cameras in the clubhouse focused on Webb (’08) and Dowd (’07) Simpson, who waited as later scores came in to see if Webb’s two-under-par 68 that day would make him the winner. Yet the couple seemed as relaxed as if it were a date night — which was sort of the case. They could hear the crowd’s roar on hole 18, just outside where they were sitting, Dowd recalls, but because of the television delay the Simpsons had to wait to see what happened on the screen. “It was so nerve-wracking,” she says. “To stay calm, we watched videos of our son, James, who was just learning how to walk.” Webb got the win, of course, his golf career soaring to a new high that day. His private life had taken off eight years before, when Webb was a freshman at Wake Forest and Dowd a sophomore. Dowd and Webb never met that night, but a couple of months later Webb thought he had spotted this mystery girl at a party (based on descriptions from his father, he was on the lookout). Sure enough, it was Dowd. Their relationship started out as bantering in the dorm room with friends, then progressed to dating as a full-fledged couple. And yes, says Dowd, Webb’s father paid up the $100. The young couple used it for a steak dinner at Ryan’s, their favorite restaurant. Finding time to date was challenging. They were both busy with academics and sports. Webb’s schedule included afternoon golf practice; Dowd’s passion for acting meant evening theatre rehearsals or plays. One of Dowd’s favorite memories occurred when she played Juliet her senior year in “Romeo and Juliet.” She recalls Webb always watching her plays from the back row, where she says he could smuggle in Diet Cokes. He brought her flowers afterward. The two also enjoyed functions with her Chi Omega sorority and casual study sessions in Tribble Hall. While Webb was already distinguishing himself on the golf course (he was ACC Player of the Year in 2008), his studies in religion appealed to another side of him. “That subject interested me most at the time,” says Webb. “I’m a Christian, so I thought learning about other religions could only help me firm up my beliefs in Jesus.” Webb took numerous classes with Charles Kimball (P ’04), his favorite professor. After Dowd graduated, the two went separate ways for a year. Webb finished college, while Dowd pursued acting in Atlanta and Los Angeles. When they finally reconnected, it didn’t take them long to re-establish their comfortable rapport from college days. 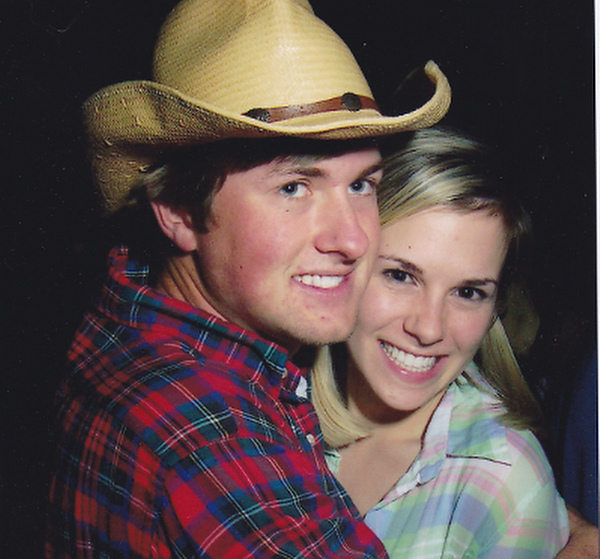 “The first date we had, I thought to myself, ‘I’m falling right back in love with the man I fell in love with my sophomore year,’ ” says Dowd. He was still the same mix of “goofy and gentlemanly,” but older and more mature. “I knew that I had met the man I wanted to grow old with.” The two married in Charlotte — Dowd’s hometown — in 2010, with college friends among the wedding party. 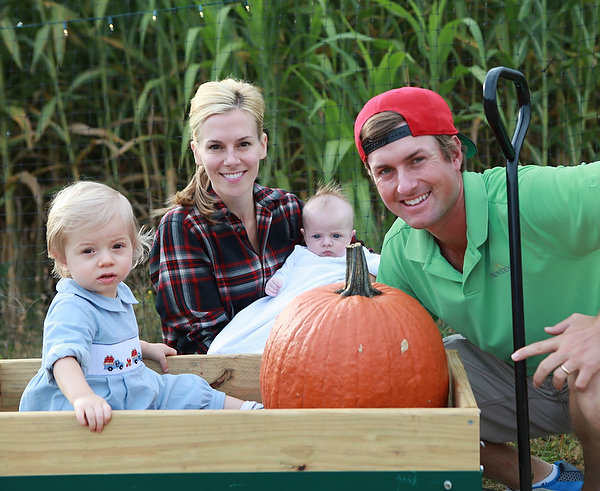 James was born the following year, giving them a family focus even as Webb started to travel more for professional golf. Their strong religion is another bond (and part of Webb’s wholesome image in the sports world); Dowd says they study the Bible together on rare evenings at home. 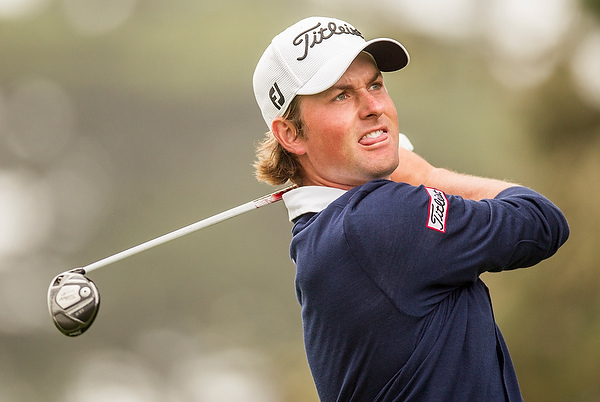 Wake Forest men’s golf Coach Jerry Haas (’85) recalls playing a head-to-head match with Webb Simpson (’08) during the young golfer’s junior year. “Webb was down five with seven holes to go, and as his coach I was sort of rubbing it in, saying I couldn’t recall beating anyone this badly,” he says. The good-natured teasing just made Webb that much more determined, Haas adds. “When he’s not winning, he gets very quiet.” Webb proceeded to convert that silent focus into birdies for five of the next seven holes, forcing the match into a playoff that resulted in a win for Simpson. 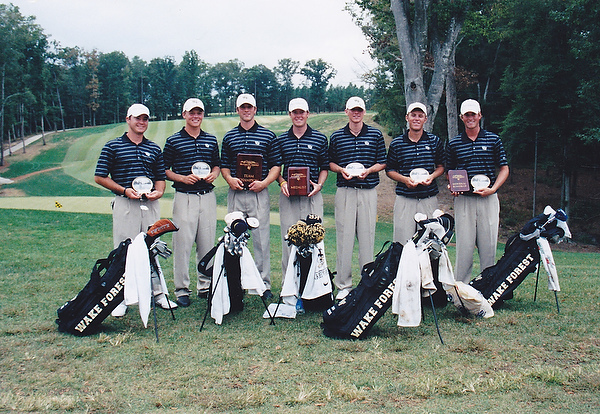 Webb arrived at Wake Forest on an Arnold Palmer scholarship in 2004 after playing golf in high school in Raleigh. While representing the Deacons, he was named All-American player three times and was asked to play in the 2007 Walker Cup. When he went pro in 2008, Webb had two runner-up finishes while on the Nationwide Tour, then qualified for the PGA Tour in 2009. It was in 2011 that Webb won his first PGA Tour title, The Wyndham Championship (in nearby Greensboro), followed by the Deutsche Bank Championship. 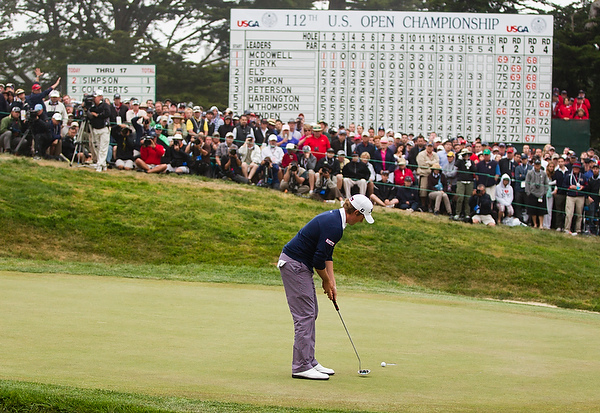 The victory at the 2012 U.S. Open Championship in San Francisco was even sweeter because it brought a win for Demon Deacons golf after Arnold Palmer lost the U.S. Open at the same golf course decades before. Wake Forest golf history always begins with Arnold Palmer (’51, LL.D. ’70), whom Haas calls “the king of golf.” Yet every decade has had big names who honed their skills on campus: Lanny Wadkins (’72, P ’96, ’10), Curtis Strange (’77), Jay Haas (’76, P ’04, ’10) and son Bill Haas (’04), Billy Andrade (’87) and Darren Clarke (’88) — many of whom were also on an Arnold Palmer scholarship.